Heat oven to 350°F. In large bowl, mix all ingredients except 1/4 cup salsa. Press mixture into ungreased 9x5-inch loaf pan. Top with 1/4 cup salsa. Bake 45 to 55 minutes or until meat thermometer inserted in center of loaf reads 160°F. Serve with additional salsa if desired. For a spicier flavor, use the hot variety of Old El Paso salsa. 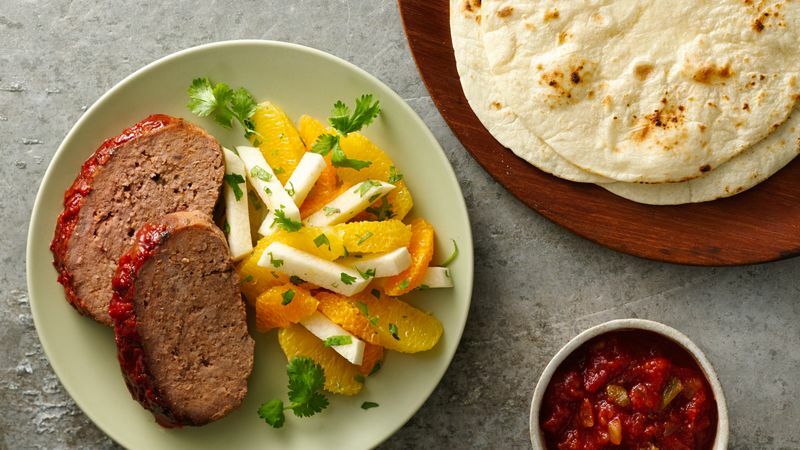 Serve this spicy meatloaf with warmed flour tortillas and a fresh orange salad.